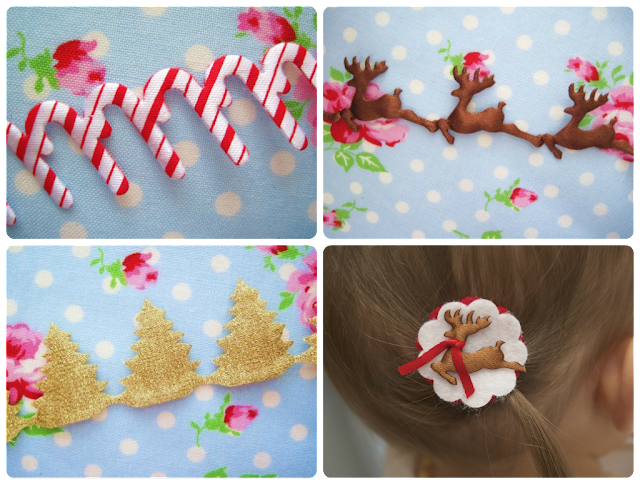 Sew Can Do: Candy Up Your Christmas With Sugar Pink Boutique! Candy Up Your Christmas With Sugar Pink Boutique! While it might feel early to be thinking about Christmas, we crafters know you need that extra time to start creating so you can enjoy what you've made for the season. So start getting your creativity going with some special supplies at Sugar Pink Boutique! This is where I do a lot of my craft goods shopping for the holidays. My absolute favorites are the faux candy embellishments. They look so real!! Peppermint twist, sugared lolly ornaments and glittered mints add holiday magic to trees, wreathes or glitter houses. They make gorgeous gift toppers too! And for the ultimate showstopping decor - check out this lighted glitter cathedral! There are loads of other trims, ribbons, beads and lights too. And Sugar Pink Boutique ships fast so these beauties can be at your doorstep right away. Get your holiday craft goodies early for the best selection and then have plenty of time to style it up and enjoy all season long! BEAUTIFUL feature thank you so much Cheryl!! Happy Thanksgiving!